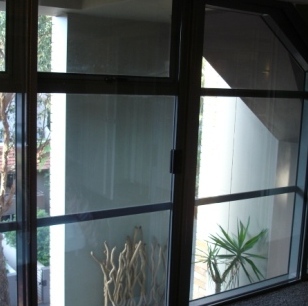 Secondary window systems were first developed in Australia in the 1970's by Sound Barrier Systems, during that time our cities were becoming more developed and noisier, with more traffic on the roads, more aircraft movements at our airports. The Sound Barrier Window was developed to provide relief for property owners living under increased stress due to these environmental changes. The process of installing secondary Windows involves attaching a custom-made double glazed window to the inside of your existing window. 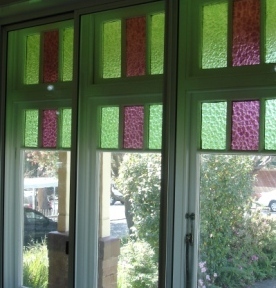 Secondary windows are designed to be unobtrusive and complimentary to your existing décor, while the primary benefit of double glazing is reduced noise levels, thermal insulation is also provided, keeping the rooms warmer in winter and cooler in summer, heaters and air-conditioners therefore operate more efficiently resulting in lower power bills and reduced greenhouse emissions. The secondary window works by creating an insulating airspace between the glass the existing (external) window and the glass in the secondary (internal) window. The greater the airgap, the higher the acoustic rating. The ideal airgap of 100mm will provide and acoustic rating of STC45 which represents up to an 80 percent reduction in noise levels. Over the past 30 years, sound Barrier Systems has developed an award-winning secondary window solution that produces STC ratings of 42 – 46. We will tailor our product to suit the design of the existing window, the type of construction of the walls and the type of noise for which you are seeking relief. Sound Barrier secondary windows are a lower cost option to a full window replacement and our qualified and trained carpenters will install the windows with minimal inconvenience, a typical installation only takes a couple of hours, we will thoughroughly clean the window and remove and reinstall window furnishings as required and clean up before we leave. Further, with secondary windows, your windows remain fully functional and may be opened for cleaning and ventilation. As we custom design and manufacture our windows, we can deliver a secondary window solution that suits your needs exactly and works perfectly for your residential or commercial space. For more information about how Sound Barrier Systems' secondary windows can improve your home or office, contact us today.